Creating a new website nowadays has become easier than ever. You only have to come up with a website idea, look for a suitable website builder platform that matches your needs, and build away. Perhaps the biggest challenge now is choosing the right website builder that can help you accomplish your online objectives. In this Squarespace vs WordPress review, we’ll take a look at two of the most popular website platforms out there. Remember, there’s no one-size-fits-all solution when it comes to website development. That said, we’ll focus on factors that matter to an aspiring website owner and how Squarespace or WordPress measures up to their needs. You probably already know how significantly more flexible WordPress is compared to Squarespace, so let’s get that out of the way first. As a content management system or CMS, WordPress websites consist of a dozen moving parts, such as themes, widgets, custom codes, and plugins. The WordPress ecosystem is backed by a plethora of developers that make their products readily available in the official repository. There are plugins that will help you build landing pages, integrate analytics services, create registration forms, add sliders, and so on. If you think over 55,000 plugins isn’t enough, there are also countless external sources where you can acquire plugins and themes from. Although Squarespace isn’t a full-on CMS, it’s quite flexible compared to similar platforms in the market. Most of the on-page elements on the Squarespace editor can be modified, moved around, removed, or replaced. You can also fine-tune the settings of your template — from the background color to button shapes. Still, there is simply nothing Squarespace can offer that WordPress can’t, which is why the CMS deserves a point. For beginners, one of the main factors they care about when reading Squarespace versus WordPress posts is ease of use. Although both platforms are rather easy to learn, they have fundamental differences when it comes to user experience. The biggest advantage of WordPress over Squarespace is the sheer amount of learning resources you can find on the web. 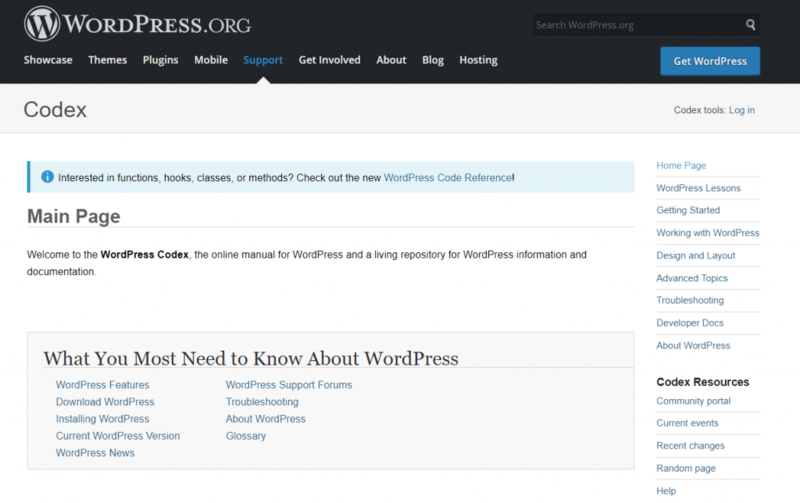 You don’t even need to look far to find everything you need to learn — the WordPress Codex should have all the answers. 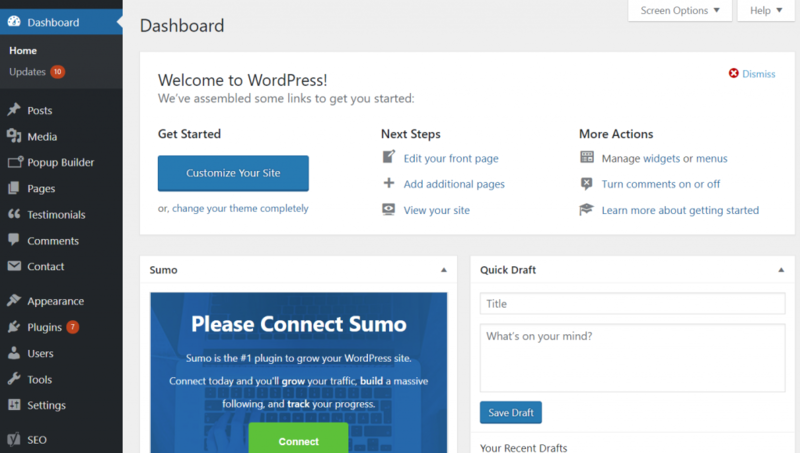 WordPress’s dashboard itself is also designed to be intuitive and user-friendly. The same can be said for all the native plugins that you install to your CMS. 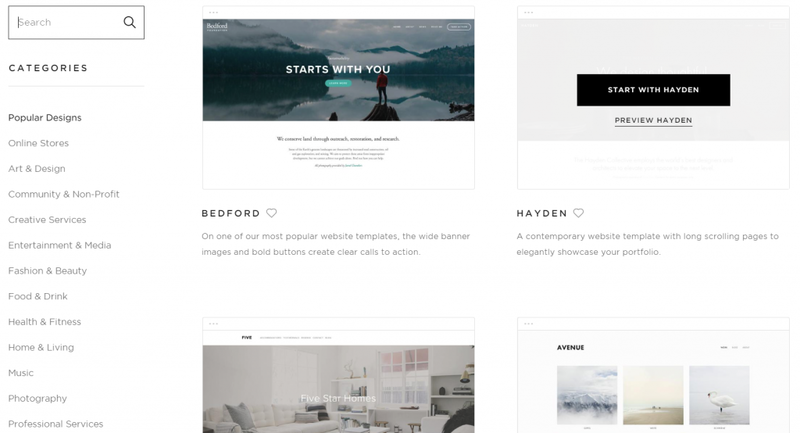 If there’s one thing that Squarespace does right, it’s the platform’s top-notch user interface. Upon building your site for the very first time, it starts with a showcase of templates you can use to accelerate website creation. They are also designed and pre-configured for specific types of websites — be it an online store, a digital portfolio, or a fashion blog. The Squarespace editor also implements a pure, drag-and-drop experience that makes it effortless to add website elements, like buttons, form fields, image galleries, and social media integrations. With Squarespace, you also don’t have to worry about compatibility and maintenance issues. That’s why it steals a point from WordPress in terms of ease of use. As a website owner, you can never be too complacent about your website’s security. Remember, cyber-threats not only incur losses in revenue. If a cyber-attack to your website results in a mass customer data leak, you may end up with an irreparable brand image or worse — a class action lawsuit. It’s true that WordPress users have access to security plugins that can avert most forms of cyber-attacks. But due to its popularity, a good chunk of websites that use WordPress have unpatched vulnerabilities. Statistics show that up to 73 percent of the most popular WordPress sites are vulnerable to common forms of cyber-attacks. If you want to protect your brand, your WordPress website should never be without a security solution, particularly plugins with a built-in web application firewall like Wordfence Security. As far as cybersecurity goes, Squarespace’s limited support for third-party integrations serves it well. Fundamental security practices like SSL encryption and DDoS protection come pre-installed with your Squarespace account. There’s little to no setup required to take advantage of these security features — you can focus on building your website’s design and content with confidence. Just be sure to practice safe password habits, such as utilizing a mix of special characters and updating your password from time to time — there’s no use for enterprise-grade security if a hacker can walk through the front door. If you’re reading a Squarespace vs WordPress review without relying on inputs from a professional web designer, chances are you also care about the associated costs with each platform. Excluding the cost of your web hosting, you can build a fully-functional website using WordPress without spending a single cent. WordPress, along with most of the available plugins and themes in the official repository, can be used for free. You only need to spend money if you want to use “premium” themes or plugins — or if you want to hire a dedicated WordPress developer. Finally, Squarespace has two price ranges structured for online stores and regular websites. The lowest price point, which sits at $12 per month, includes the essentials of creating and maintaining a website, like unlimited pages and basic site security. You’ll have to bump up your budget to $18 per month if you want to add e-commerce functionalities or access the premium content blocks and integrations. For larger online stores, you can choose between $26 or $40 per month. 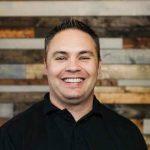 The latter option includes a few add-ons that might be of value to your business, namely abandoned cart recovery, gift cards, and support for third-party fulfillment and production logistics systems. On the flip side, you can create and host new websites for up to 14 days free of charge. This will allow you to explore the platform and decide for yourself if its features are worth a monthly fee. There you have it, our WordPress vs Squarespace review. You may notice that there’s no clear winner in our comparison. 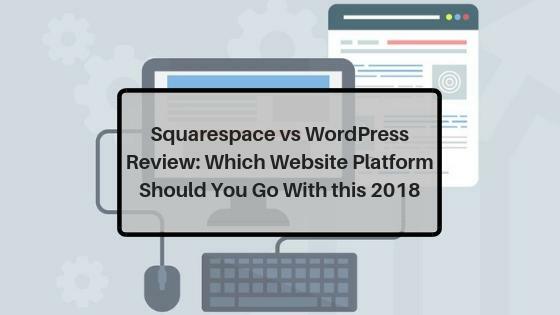 While it’s called Squarespace vs WordPress, you should know that the purpose of this post was never to determine what platform is better — it’s about which platform is right for you. WordPress is undoubtedly the more flexible and scalable platform. If you want hassle-free website development, Squarespace is more convenient. WordPress can be less secure if you don’t know what you’re doing. Squarespace costs are more overall, but it can guarantee positive results. 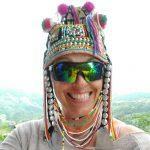 The next step is to craft a content strategy that will complete the user experience factor. Long Tail Pro will help you formulate a solid content strategy — from keyword research all the way to SEO. Don’t forget to give the free trial a whirl. Cheers!